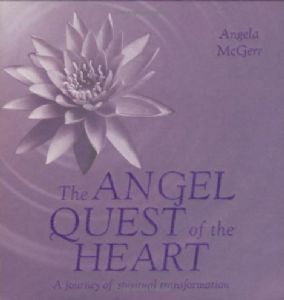 For the first time, best-selling author Angela McGerr writes of her own initiation into the world of angels - how she first became aware of their presence and the quest she undertook to find inner peace. This beautiful package is designed as both an inspiration and a workbook, two books bound together and held by a ribbon tie. The first book tells the story of Angela's journey through the spiritual labyrinth. Each stage of the quest was achieved through visual meditation and in each a transformation point was reached and overcome, bringing her eventually to the culmination at the heart of the labyrinth. The second, a workbook, gives the reader nine guided meditations and all the information they need to undertake the quest for themselves.